The TRADE MONITOR automatically calculates the Profit/Loss of all your positions according to the current pricing, as well as checking your positions against the extensive Trade Monitor Checklist. 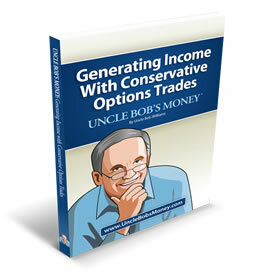 Options can be easy to understand, and profitable to trade. The Profit / Loss Graph is the key tool used to evaluate Options Trades, and it's easy to understand. Option parts revealed in a concise guide.